Dealing with death is never easy, but it is a part of nursing that you are likely to experience on clinical placement and must gradually learn to cope with. This does not mean shutting off what you are experiencing, it means managing your emotions and accepting that not all lives can be saved. 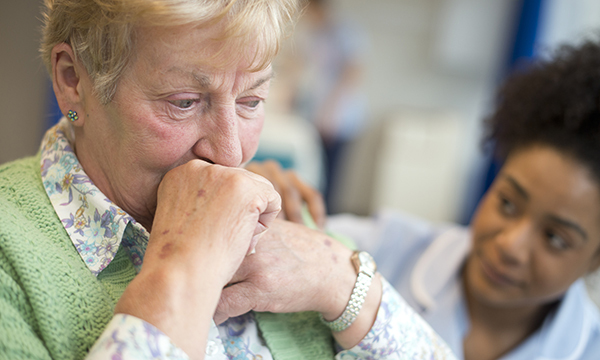 Losing your first patient is a significant milestone in any nurse’s career, so make sure you take the time you need to come to terms with it. Death affects everyone differently, so try not to judge your reaction or compare it to that of colleagues. Remember that all the experienced nurses you are working with have had to confront their own feelings in a similar situation at some stage. Depending on your patient’s circumstances, you may experience a wide range of emotions similar to the stages of grief. This is entirely normal and does not mean you are not able to cope or won't be a ‘good nurse’. At the point of death, you need to find a balance between displaying empathy with the patient’s relatives and close friends and remaining calm and professional. This can take time to achieve, so do not be hard on yourself. If you find yourself becoming distressed, try to remove yourself from the situation quietly. Sometimes you might be so busy in the moment that your feelings are masked initially. It may not be until you leave your shift that what has happened starts to sink in. Confronting mortality so directly can have a profound and lasting effect. It can also trigger suppressed feelings related to other losses in your life, leaving you feeling exposed and vulnerable. As well as the emotional impact, you may have clinical questions regarding your patient’s death. It is important you feel supported and have the opportunity to reflect on how events have affected you professionally and personally. Some wards have debrief sessions after a patient dies, but you may have to ask your mentor or another senior member of staff for some time to review and discuss what has happened. Remember that as a student your role is to absorb clinical experiences and seek learning opportunities – you are not expected to have all the answers. If you want to explore issues on a more spiritual level, contact the hospital chaplain. They will most likely be able to offer time away from the busy ward area to listen to you and provide pastoral non-denominational support.